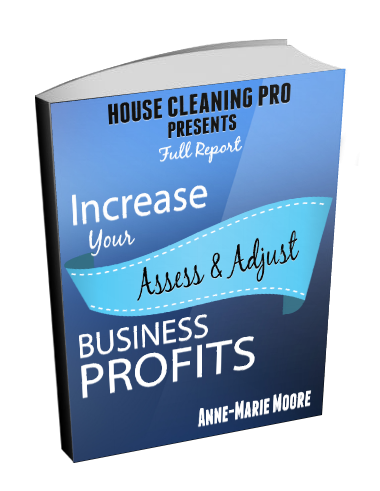 Is Your House Cleaning Business Taking Too Much Time and Not Making Enough Money? Do You Have Dreams for Your Business, but No Time to Write Them Down? 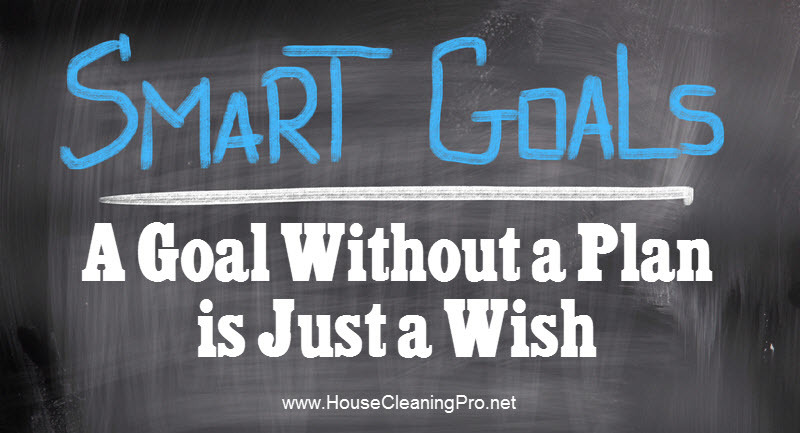 When you’re ready to grow your house cleaning business, you’re ready to assess what’s working and what’s not. This can reveal areas of your business taking up all your time and why you’re not making enough money. This could ultimately mean hiring workers to service your clients for you. After all – this is the only way you are going to make REALLY good money and have time for family and friends. You certainly can’t do that by doing all the work yourself! That’s why I built my business the way I did – using professional cleaning techniques I developed – hiring workers to clean on teams – and using a policy and procedure manual I developed to ensure the work was done to MY specifications. Have you completed that yet in your house cleaning business? If not, then you need a system to standardize and proceduralize your business. Start a house cleaning business or get it setup correctly by using my Business-in-a-Box – even if you just need the procedures! Isn’t that how Henry Ford built his empire? As the founder of the Ford Motor Company, he created the first modern assembly lines to mass produce his cars. This enabled him to build large numbers of automobiles using the assembly line and pay his workers high wages. This was possible because he could generate more product by standardizing his process which created higher profits for his company, allowing him to pass these profits to his employees in higher wages. And that’s what you must do to grow a house cleaning business. You want to increase your profits, but this takes planning! It doesn’t just happen. After all, do you know how much money people need to make as a house cleaner for the work you need done? Do you know how to find these people? Do you know what other staff you could hire to give you more time to design your perfect business? This all takes research and planning…and you have a business reputation to protect – so you better get it right. 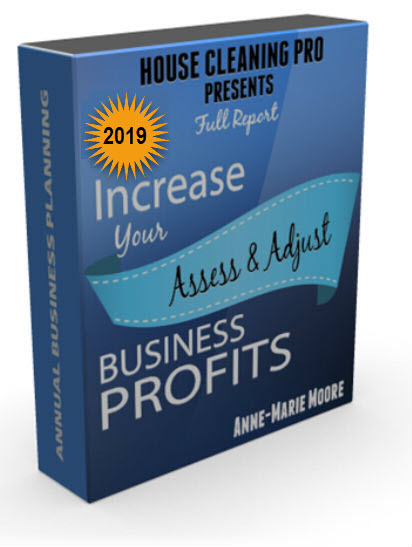 NOW is the PERFECT time to expand a house cleaning business with small business planning steps that won’t cost you all your profits and put you out of business! Once you know how to plan your success, all you have to do is implement your plan and run your business. Imagine having your plan in place and all you have to do is reference your plan for the next month, take action and sit back and relax! You’re no longer chasing success – you’re creating your success on auto-pilot. And that means you can do it year after year after year! 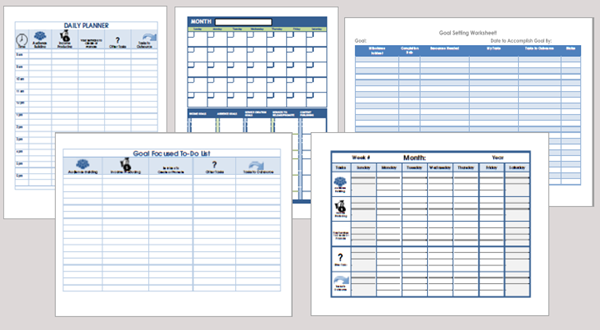 Maybe you prefer a different style of template… these bonus planning templates give you choices. Everybody has a style, even when planning. Not everyone does their planning in the same way. The only way you’re going to be successful with your planning is to use a system that makes sense to YOU. 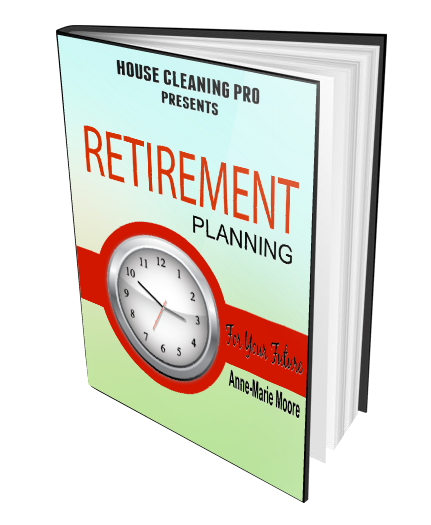 In addition to the everything you receive to help you plan your increased profits, I’m giving you a book on Retirement Planning. This is what you’re working towards – a successful retirement. Along with your successful cleaning business, you can get an idea of what you need to be thinking about for your retirement. With this information, you have a good start of ensuring your future. This is how successful businesses reach success and you can too! It’s not a mystery and it’s not something just the wealthy can do. Once you have this formula, and once you start planning, it will become easier every year. And you’ll know how to look back on your year, see where to make improvements and plan the success that you WANT and NEED for your business. Once you know these EXACT step-by-step procedures, you’ll wonder why you thought small business planning was so difficult. Just follow my instructions and you’ll be on your way to higher profits and more time for yourself with your own personal road-map to success. You get all my EXACT small business planning information that is relevant and timely in today’s economy. Invest in Your Business Today and Start Earning More When You Know EXACTLY How to Plan to Grow a House Cleaning Business!